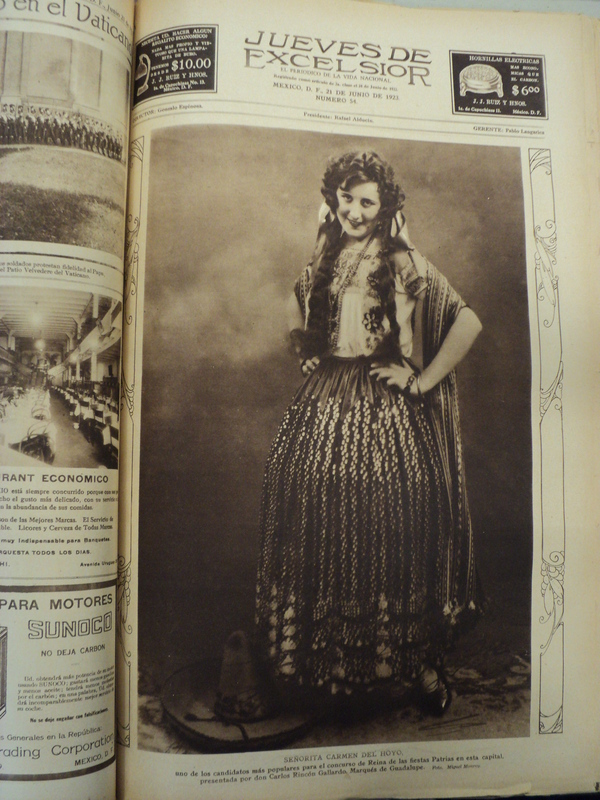 As I pour through stacks and stacks of newspapers from 1920s and 1930s Mexico City, I notice that in print are all types of photographs of young women dressed in their China Poblana costumes. These photos chronicle women as competing for the Reina de fiestas patrias, as part of charriadas, actresses, etc. Nowadays newspapers are no longer filled with images of China Poblanas. I wonder aloud, what was happening in 1920s and 1930s Mexico City to make this so popular? Reading through the writings of period and contemporary scholars, I now realize that after the Mexican Revolution (1910-1920) there was a desire to unify the country so that the people thought of themselves as belonging to the nation of Mexico. Images of Charros, China Poblanas, and dancing the national dance of Mexico, the Jarabe Tapatio was all the rage. As Mexicans danced the Jarabe Tapatio and wore the national costume they identified as belonging to part of the homogenized, mestizo nation. Thus, photos of young women as China Poblanas in Mexico City newspapers showed how they embodied the imaginary of the nation. 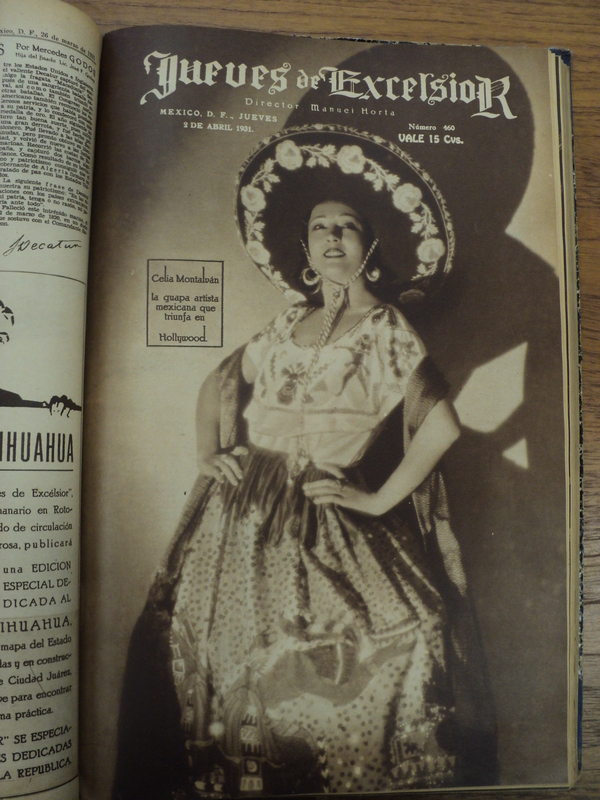 I now share a few pictures from the 1920s and 1930s of women dressed as China Poblanas as well as my own picture. In the twenty-first century United States, I too dress as China Poblana but for entirely different reasons. However, that is a story for another day. A China Poblana in Mexico City in 1923. Celia Montalvan pictured in 1931. 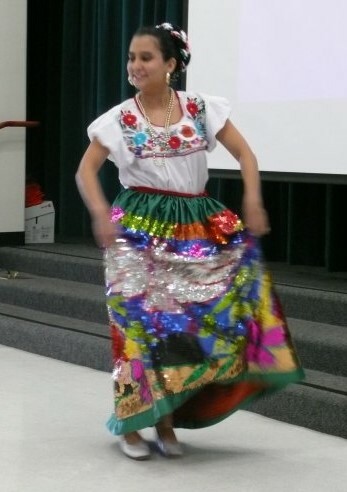 Me performing as the China Poblana in 2008. This entry was posted in ballet folklorico, dance, folklorico, Mexican culture, Mexico, nacionalism and tagged ballet folklorico, China Poblana, dance, folklorico, Mexican culture, Nacionalismo. Bookmark the permalink.